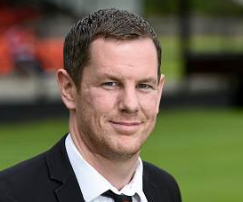 Highland League club Rothes last night sacked manager Fraser Bremner. The Speysiders, 15th in the table with 17 points from 21 games, were beaten 5-0 by Deveronvale on Saturday, 6-0 by Brora Rangers on December 10 and 6-0 by Inverurie Locos on December 3. Bremner joined Rothes from junior club Dufftown in October last year but was unable to raise his new club from the doldrums as they finished the campaign bottom of the table with only four points. Bremner’s assistant-manager and central defender Nathan Sharp is expected to take charge of the team for tomorrow night’s home match against Fraserburgh.